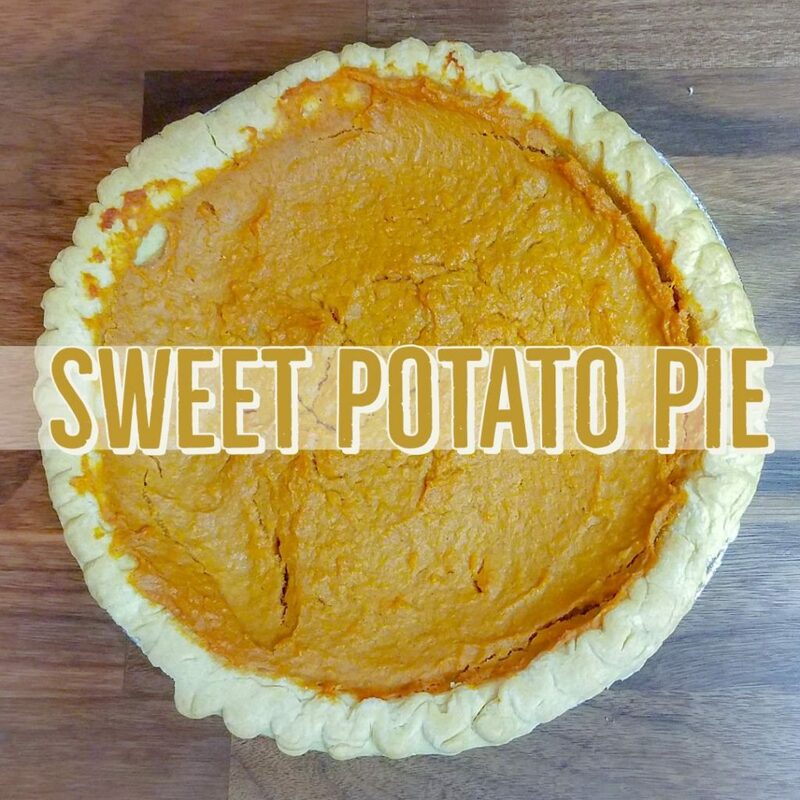 Sweet potato pie…. I love you and let me count thy ways. Oh goodness….I cannot recount the amount of times I have stood by my mothers stove, wafting in the smells coming out of the oven. She has been making this recipe without measurements for years and I still call her every year at Thanksgiving to go through this recipe and catch up on old times. I have broken down what is added into her pies for my own good sake and have decided to share it with the masses! Preheat your oven to 325°. 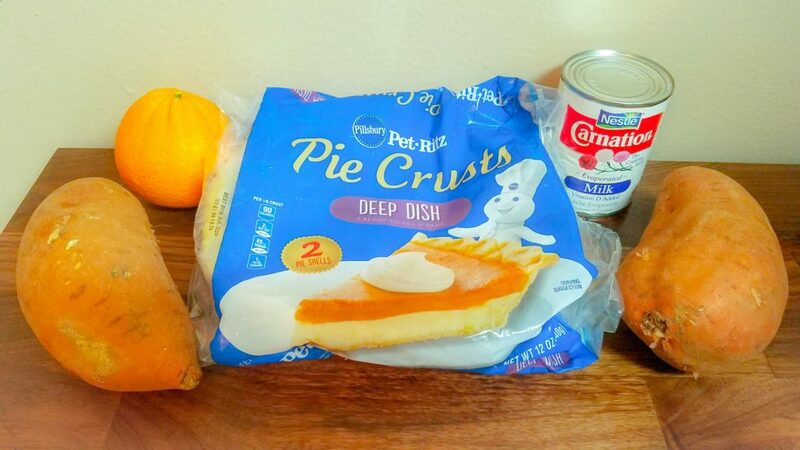 Get all your ingredients out and ready for some PIE making folks. 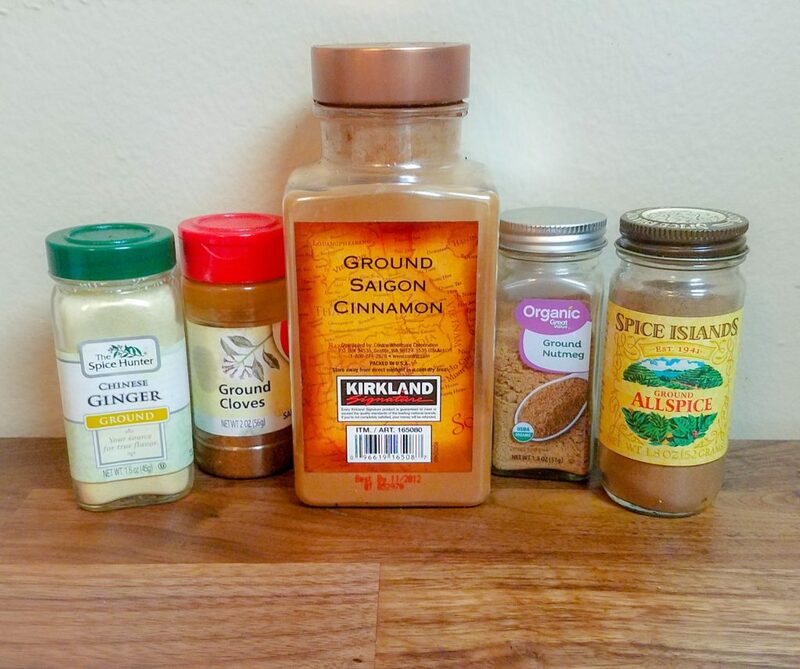 Ginger, cloves, cinnamon, and nutmeg make pumpkin pie spice. I add allspice for extra spice! 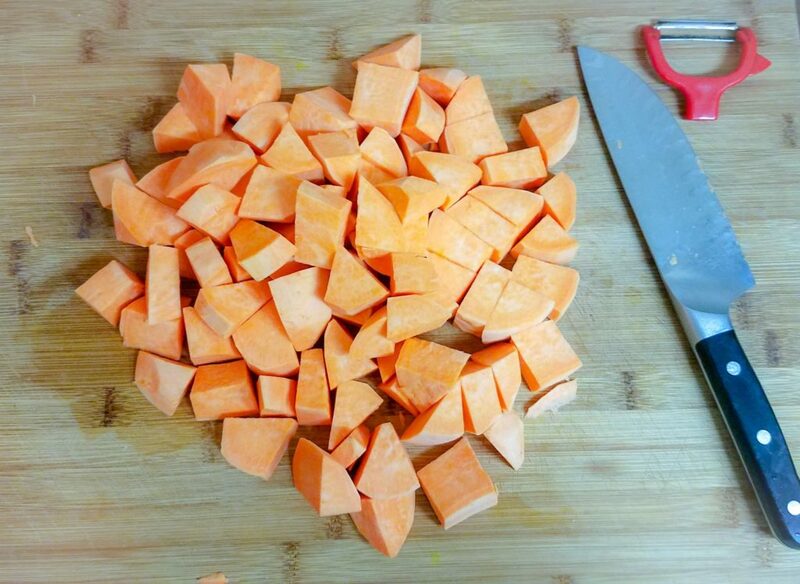 Peel and chop the sweet potatoes. 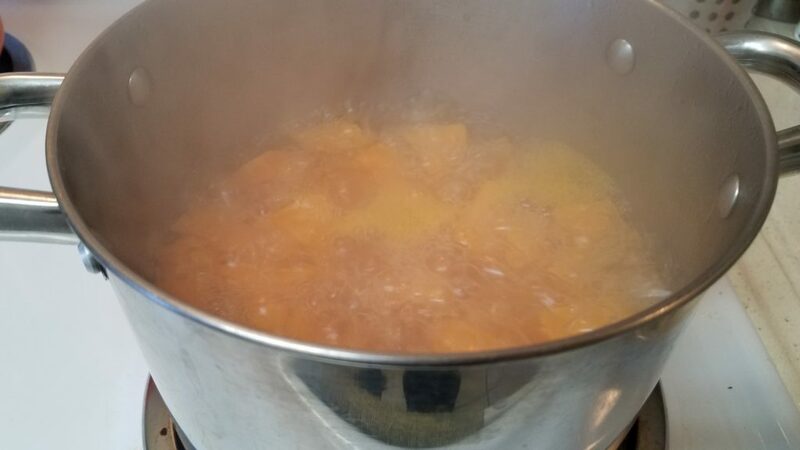 Get a large pot of boiling water ready and boil them babies for about 20 minutes until fork tender. Drain in a colander and set aside. In a large mixing bowl, combine the egg, orange juice, sugar, evaporated milk and spices. 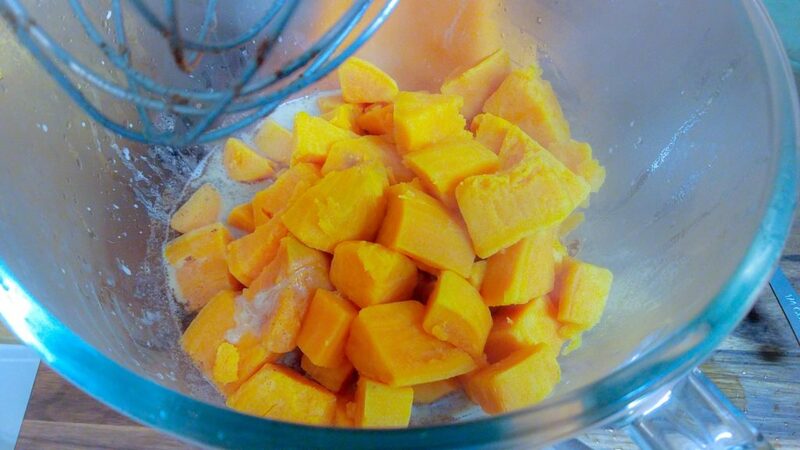 When your sweet potatoes are fork tender, add them to the mixing bowl and combine all ingredients until smooth and uniform. Mix everything together until smooth. Add the flour in gradually until justtt tightened enough! Gradually add the flour starting with 1/4 cup until the mixture has tightened just enough. 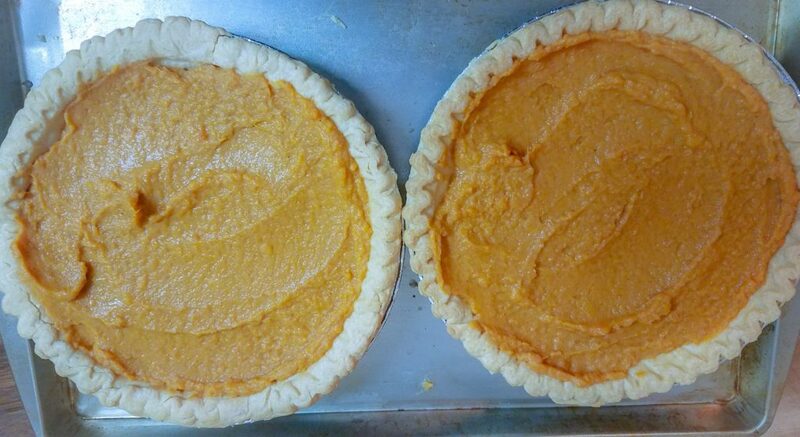 Pour the contents into the pie shell and bake for about 20-30 minutes until golden brown on the top. Serve with whipped cream or without and enjoy!! Store it in the fridge for maximum shelf life! 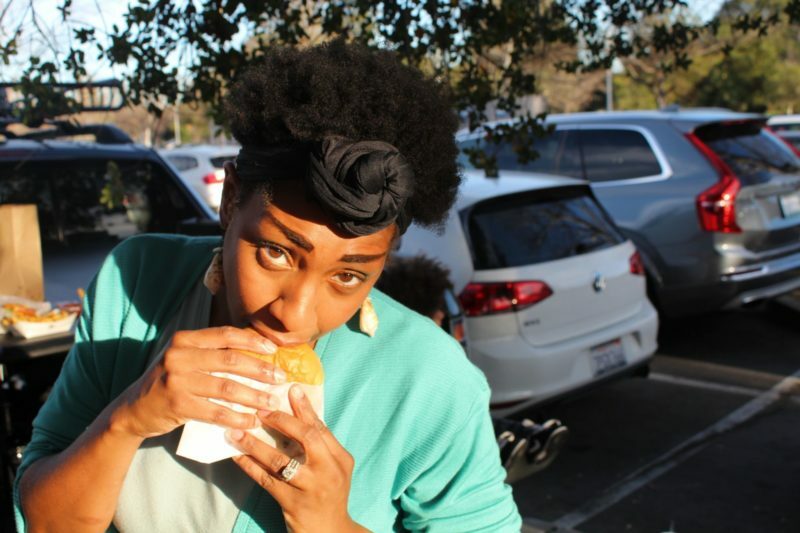 (it will spoil if left out on the counter…..I have learned my lesson from this before). 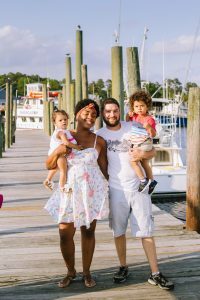 Thank you so much for taking the time to come across my blog. I really appreciate it! 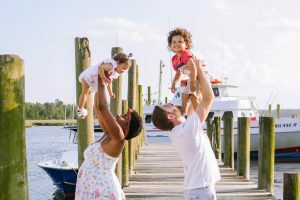 Can I become a member to your blog? Meaning will your recipes and their pictures come right to my feed?